Refresh your retro realness! 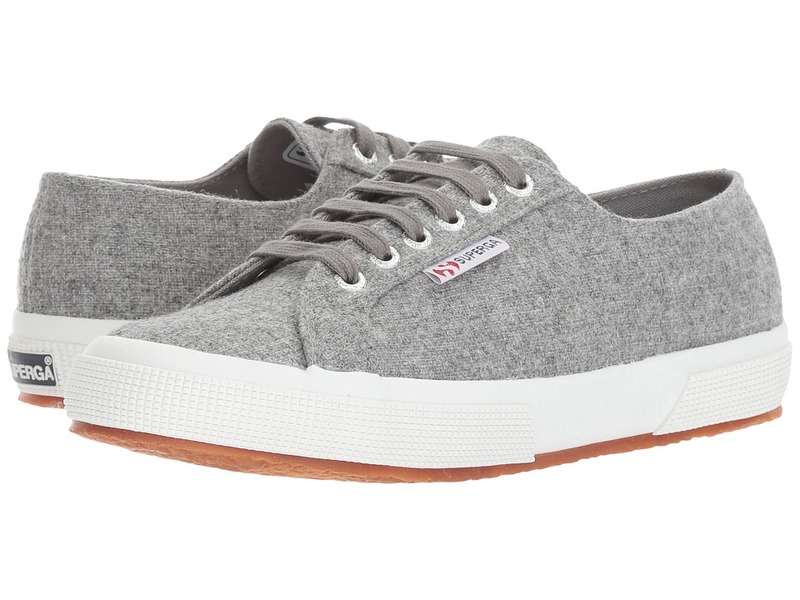 The Superga 2750 COTU Woolmelw Sneaker is your go-to cozy and casual shoe of the season. Wool blend upper. Lace-up closure with metal eyelets for an adjustable fit. 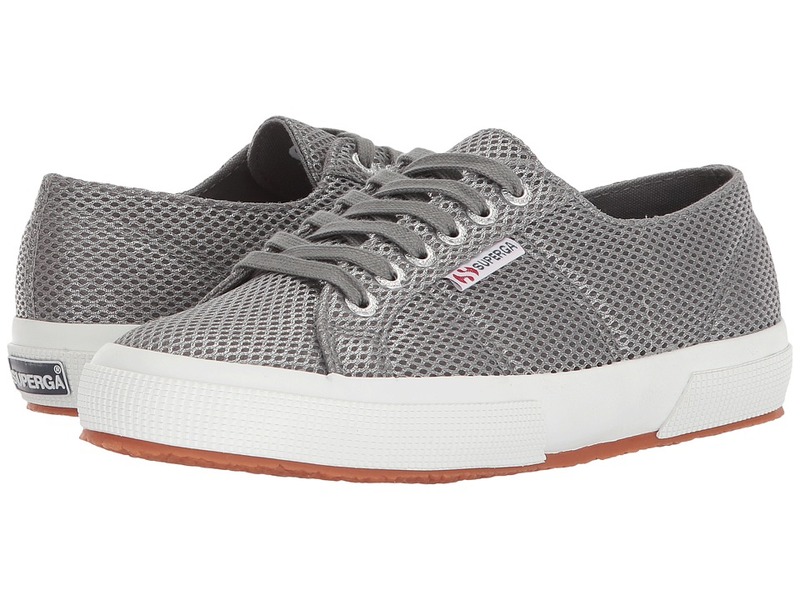 Signature round-toe Superga silhouette. Iconic side branding tag. Soft textile lining ensures an abrasion-free environment for all-day wear. Cushioned, non-removable footbed provides sustained comfort for all-day wear. Natural rubber outsole offers traction and durability. Imported. Measurements: Weight: 15 oz Platform Height: 1 in Product measurements were taken using size 40 (US Women~s 9), width Medium. Please note that measurements may vary by size. Weight of footwear is based on a single item, not a pair. The newest in modern style! Metallic synthetic upper. Lace up for custom fit. Canvas lined for added comfort. Rubber sole for traction. Imported. Measurements: Weight: 7 oz Product measurements were taken using size 25 (US 8.5 Toddler), width M. Please note that measurements may vary by size. Weight of footwear is based on a single item, not a pair. Keep it chill in cool lines! 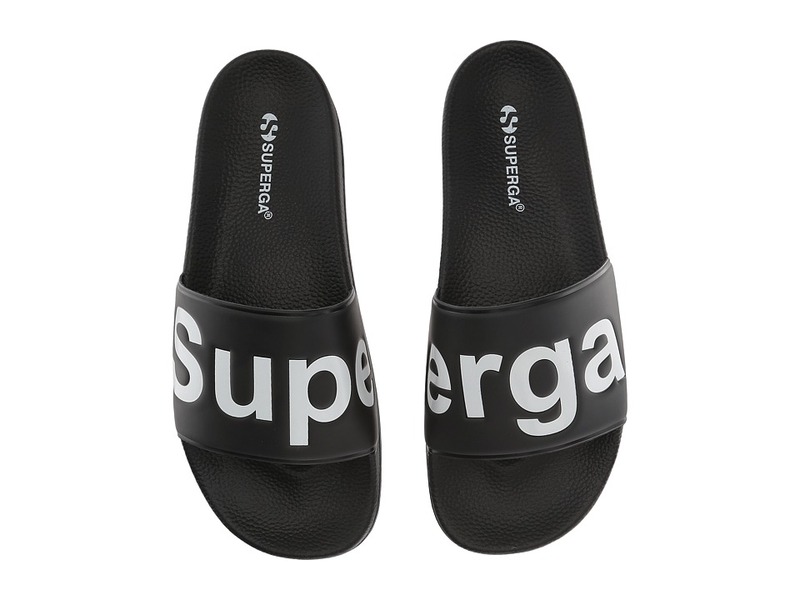 Show off your love for Superga with these boldly printed 1908 Slides Sandal. Printed synthetic upper. Slip-on construction. Round, open-toe silhouette. Synthetic lining and insole. Molded synthetic footbed. Synthetic outsole. Imported. Measurements: Weight: 6 oz Product measurements were taken using size 39 (US Women~s 8), width Medium. Please note that measurements may vary by size. Weight of footwear is based on a single item, not a pair. 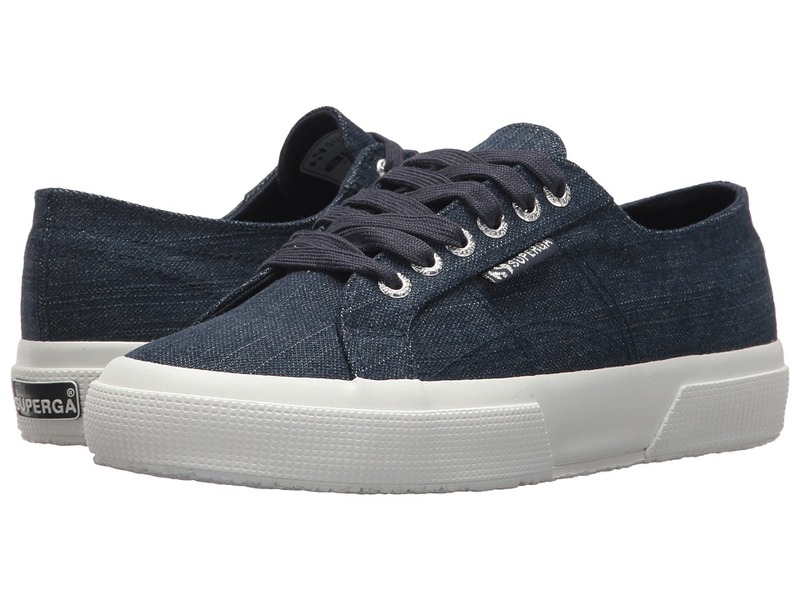 Add some wedge to your sporty edge with the Superga 2287 COTU! Sturdy cotton unlined canvas upper. Lace-up closure with metal eyelets for an adjustable fit. Signature round-toe Superga silhouette. Iconic side branding tag. Soft textile lining ensures an abrasion-free environment for all-day wear. Cushioned, non-removable footbed provides sustained comfort. Platform heel with slight wedge. Natural rubber, crepe-textured outsole offers traction and durability. Imported. Measurements: Heel Height: 2 in Weight: 1 lb 6 oz Platform Height: 1 1 2 in Product measurements were taken using size 38 (US Women~s 7.5), width Medium. Please note that measurements may vary by size. Weight of footwear is based on a single item, not a pair. 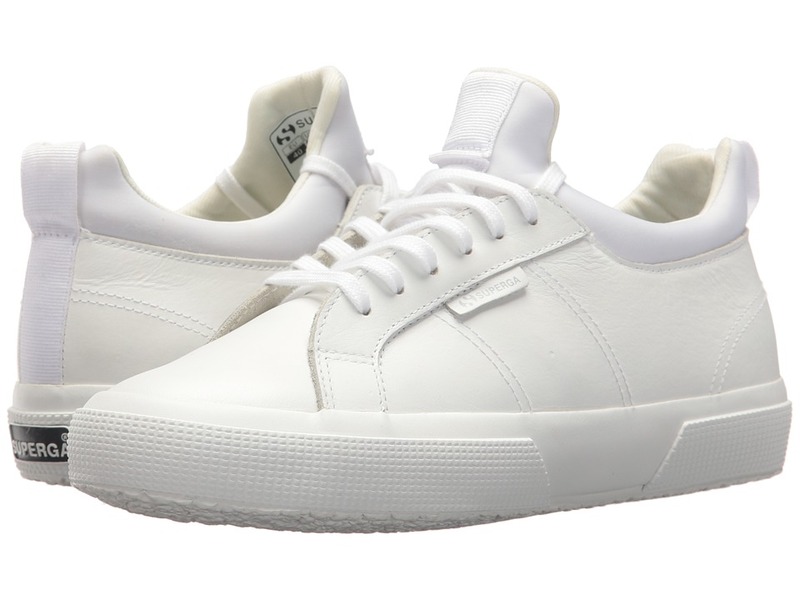 Kick your athleisure style into full force with the ultra-sporty Superga 2880 Fglycrau sneaker. Premium leather and combination textile upper. Metal eyelet lace-up closure for an adjustable fit. Round-toe silhouette. Iconic signature side tag. Textile lining and insole. Cushioned footbed provides sustained comfort for all-day wear. Natural rubber, crepe-textured outsole offers traction and durability. Imported. Measurements: Weight: 14 oz Product measurements were taken using size 38 (US Women~s 7.5), width Medium. Please note that measurements may vary by size. Weight of footwear is based on a single item, not a pair. Heads will turn in sheer jealously while you~re wearing the 2750 Shinyw Sneaker from Superga&amp#174. Shiny textile upper with a traditional lacing system for easy on-and-off wear. Soft textile lining ensures an abrasion-free environment for all-day wear. Generously cushioned footbed massages the foot with each and every step. Natural rubber outsole delivers long-lasting durability on a variety of surfaces. Imported. Measurements: Weight: 13 oz Product measurements were taken using size 39 (US Women~s 8), width Medium. Please note that measurements may vary by size. Weight of footwear is based on a single item, not a pair. 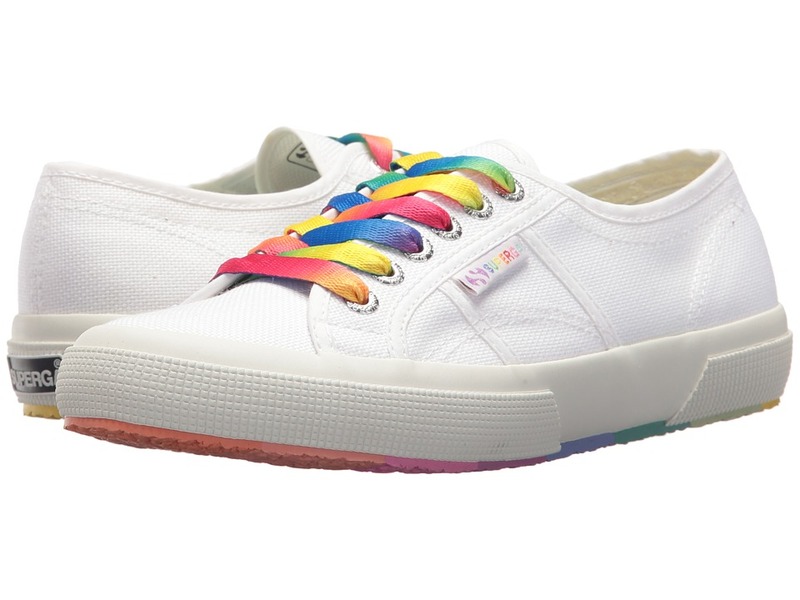 The Superga 2750 COTW Multicolors Outsole Sneaker is the casual shoe of your rainbow colored dreams. Sturdy cotton unlined canvas upper. Multi-colored lace-up closure with metal eyelets for an adjustable fit. Signature round-toe Superga silhouette. Iconic side branding tag. Soft textile lining ensures an abrasion-free environment for all-day wear. Cushioned, permanently-fixed footbed provides sustained comfort for all-day wear. Multi-colored natural rubber outsole offers traction and durability. Machine wash, air dry. Imported. Measurements: Weight: 14 oz Product measurements were taken using size 39 (US Women~s 8), width Medium. Please note that measurements may vary by size. Weight of footwear is based on a single item, not a pair. Express yourself with the 2750 Army Chromw Sneaker kicks from Superga. Metallic textile upper in camo print. Lace-up closure with metal eyelets for an adjustable fit. Signature round-toe Superga silhouette. Iconic side branding tag. Soft textile lining ensures an abrasion-free environment for all-day wear. Cushioned footbed provides sustained comfort for all-day wear. Natural rubber outsole offers traction and durability. Machine wash, air dry. Imported. Measurements: Weight: 14 oz Product measurements were taken using size 39 (US Women~s 8), width Medium. Please note that measurements may vary by size. Weight of footwear is based on a single item, not a pair. 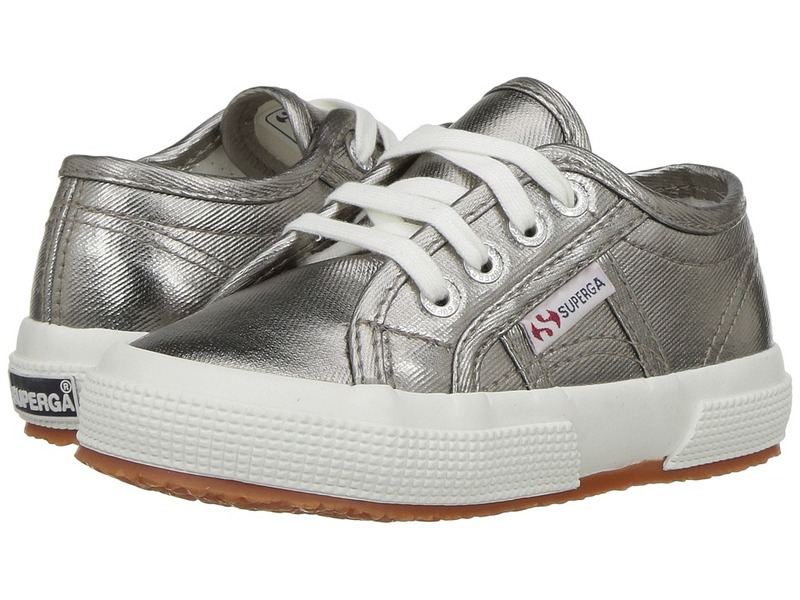 Give your sporty-chic ensemble a glam update with the Superga 2750 Metallicmeshw Sneaker. Textile and synthetic upper. Lace-up design. Round toe. Signature logo accents. Textile lining. Cushioned footbed. Vulcanized rubber sole. Imported. Measurements: Heel Height: 13 3 5 in Product measurements were taken using size 39 (US Women~s 8), width Medium. Please note that measurements may vary by size. Weight of footwear is based on a single item, not a pair.